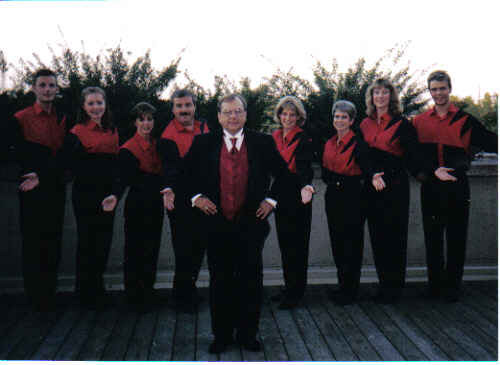 1998 - Gilles Roy had a vision of creating a superb stepdance group. He selected eight of his adult students, and the group began practising the style of stepdancing that has come to symbolize "Gilles Roy and the Stepping Ambassadors". The group's fiddler was Danny O'Connell with Guylaine Gagne on Keyboard. 2000 - Stages across Eastern Ontario and Western Quebec were the first to see the Ambassadors in action. 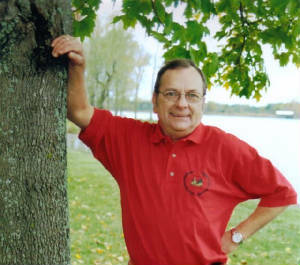 Then on October 1, 2000, the group took to the stage at the Ottawa Valley Country Music Hall of Fame where Gilles Roy was inducted for his years of dedication to stepdancing. 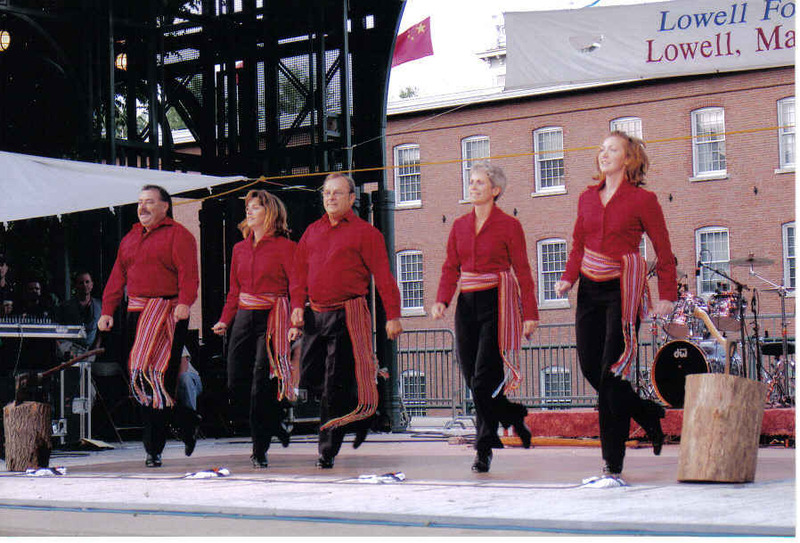 2001 - As show dates began to accumulate, the group had to say goodbye to four of their dancers, Kelli Pierman, Angie Ohman, Sean Moore and Julie Foster, as well as their keyboard player, Guylaine Gagner. At that time, Martine Billette was welcomed as the new keyboardist and the remaining five dancers went to work in re-creating their new program. 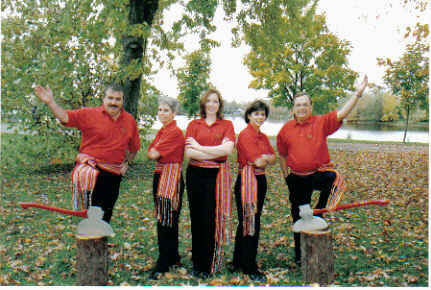 2002 - The word of "Gilles Roy and the Stepping Ambassadors" spread across the Canada-U.S.A. border. 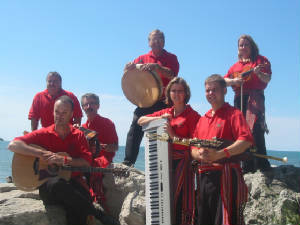 Their first American audience was at the National Folk Festival in Bangor, Maine. 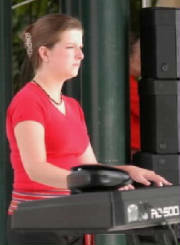 In late 2002, Martin Boucher left the group and Julie Foster returned. 2003 - February 9th, tragedy strikes! Fiddle sensation, Danny O'Connell, committed suicide. 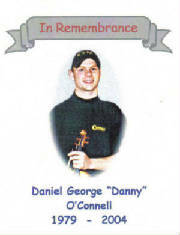 Through their grief, the group felt compelled to continue performing in honour of Danny. 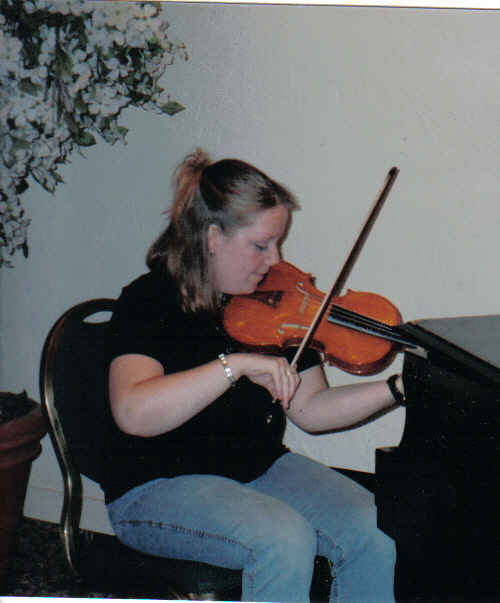 Terrilynne Mahusky, who was also a close friend of Danny's, joined the group in March, 2003 as their fiddler. During that year, the Ambassadors dedicated every show to the memory of their good friend. 2004 - In November, Gilles was faced with making a difficult decision - 3 dancers left - 3 musicians in. Gaston (diatonic accordion), Jeremy (uilleann pipes/whistle), and Paul (guitar) joined in with Terri (fiddle) and Martine (keyboard). The combined sound from these great musicians creates a vivid picture of passion and creativity that their audiences can not only touch and feel, but can become a part of it. Gilles and Don were feeling a little left out so Gilles bought a bodhran and Don bought wooden spoons and they fit right in! NOW, add four professional stepdancers who set the stages on fire with their fast-paced intricate footwork and hypnotic rhythm, As of November, 2004, they are billed as the "Stepping Ambassadors".